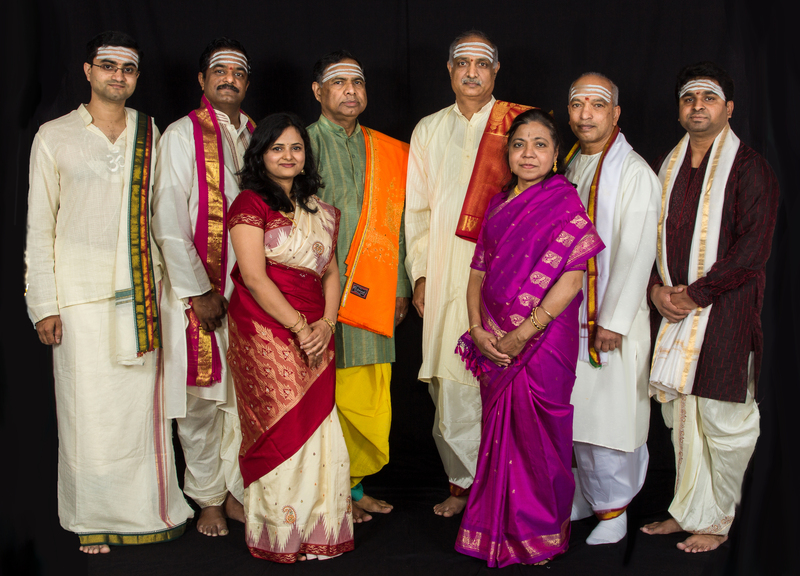 Navika-2015, Spiritual Committee invites you all for three days of spiritual experience on September 4th, 5th and 6th, 2015, at Raleigh Convention Center, Raleigh, North Carolina, USA. The spiritual committee is offering a unique spiritual experience to participants. Our program starts with Vedic Shodasha Upachaara Ganesh Pooja to seek the blessings from Vigneshwara and to remove all obstacles for this grand Kannada Samavesha. A 50-60 couples will be performing the Ganesh Pooja as the Vedic priest chanting Vedha Mantras. 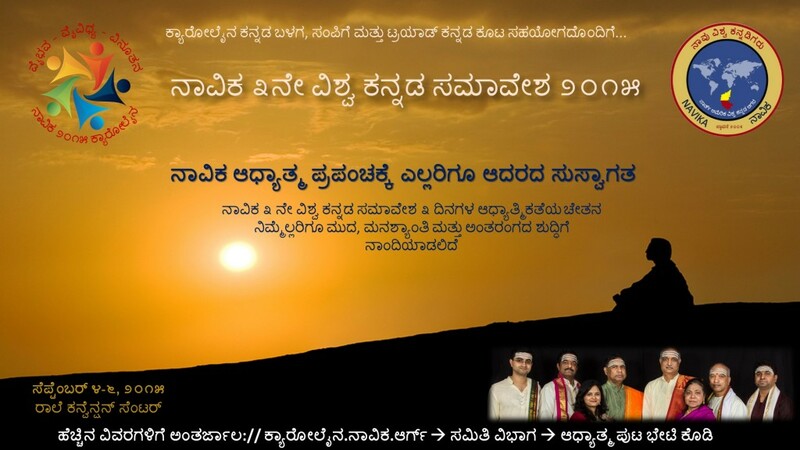 Following Ganesh Pooja, we will have lighting of the “Kannada -Joythi” to lead us from darkness to bright future. Vedic Mantras will be chanted while lighting the Joythi. Then we will Glorify Parabrhaman with “Vedha-Gosha” and seek his blessings to all Samavesha participants. We have organized Yoga sessions for participants both on Saturday 5th, and Sunday 6th morning, where all the participants will perform yoga with an accomplished yoga Guru. Spiritual Committee members (Vipra-Bhandu Group) will carry Lord Ganesh in a “Pallaki” leading the “Meravanige of the Samaavesha with Vedic Chants. For more information send your email to spirituality@navika.org .